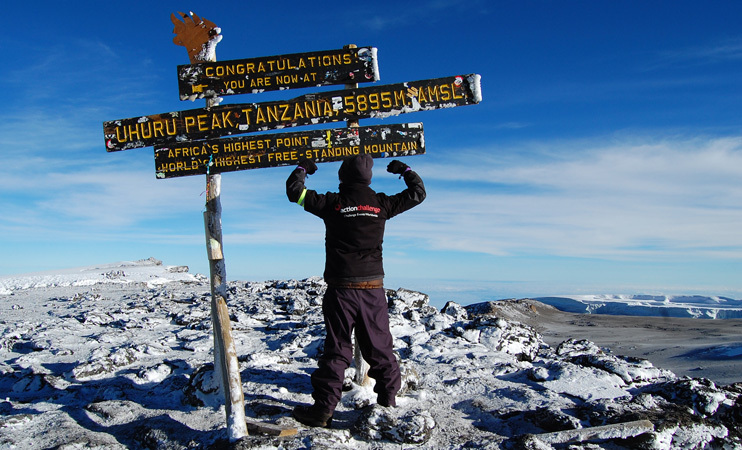 The Machame route on Mount Kilimanjaro is slightly more challenging than the other routes. 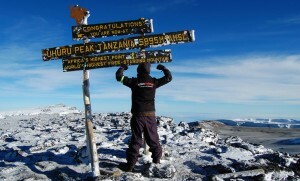 The Machame route is also referred to as the whiskey route as it is considered to be more difficult and more intoxicating than the Marangu (coca-cola) route. The climb begins at Machame Gate in the Mt Kilimanjaro rainforest and ascends through the forest on the South Western side of the mountain until it reaches the Shira Plateau, where you will enjoy stunning views across the Shira Plateau, Western Breach and Kibo. From the Shira two camp you will hike across the plateau to the Barranco wall and then will follow the southern circuit path to Barafu Camp. The descent for the Machame route is via the Mweka route. Day 1: Nairobi – Moshi. Transfer by shuttle bus from Nairobi to Moshi for overnight. Day 2: Moshi – Machame Camp. Morning transfer to Machame Park gate. Set off climbing gently through the south-western slopes of the mountain. This is original montane forest, carpeted with unique “busy lizzie” flowers, begonias and ferns. First camp amongst the giant heather at 3,000m. A 1,200m ascent and 6 hours walking. Day 3: Machame Camp to Shira Camp. Emerging from the forest into the giant heather zone and out onto fine open moorland to camp by the Shira Cave at 3,840m. You’ll see herds of eland up here and there are fascinating geological features in the old volcanic caldera which can be viewed during a half hour optional walk in the afternoon. 840m ascent and 4-5 hours walking. 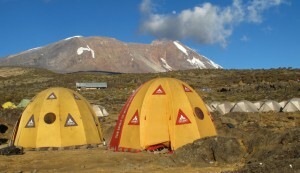 From Shira climb towards the main peak Kibo, with the western glaciers clearly visible across the rugged high-altitude desert of volcanic rocks and boulders. Skirting around its base and under the imposing western Breach, descend into the sheltered Barranco Valley for mid-way camp at 3,950m. 5-7 hours walking but having climbed much higher and dropped back down assists acclimatization. Day 5: Barranco Camp to Barafu camp. Up the steep Barranco wall with some sections of very easy scrambling and drop down again to the Karanga Valley. This is a short walking day, 3-4 hours, with an optional acclimatization hike in afternoon up onto the scree below the glaciers. Day 6: Barafu Camp to Summit to Mweka Camp. Just after midnight you start off a challenging trek(12-17 hours of trekking). You begin trekking after midnight, passing between the Rebmann and Tarzel glaciers to the rim at Stella Point. The temperatures range from just below freezing at midnight. As dawn nears, you’ll summit at Uhuru Peak, the highest point in Africa at 19,340 feet. Uhuru will be the culmination of – and the reward for – 6-7 hours of strenuous hiking. You’ll then descend back to Barafu Camp, resting for a while before continuing your descent for 3-4 hours to Mweka Camp for dinner and overnight. You’ll make your final descent to the park gate, a walk of about 3 or 4 hours. After bidding farewell to porters, you drive back to Moshi for overnight. Day 8: Transfer from moshi to Nairobi. Transfer by bus shuttle Nairobi- Moshi-Nairobi.